Rapidly growing company targets North American ad spend with new solution. European adtech company ADYOULIKE, which offers a AI-driven native advertising platform, today launched a US operations in New York, along with debuting a new server-to-server (S2S) header bidding solution. The company said the new solution assures native ads are placed with the maximum contextual relevance available and is the first to incorporate semantic targeting powered by IBM Watson. Among the first companies to offer S2S for native ads, and the first to leverage AI to enhance their solution, Adyoulike said the development of the new S2S solution is a continuation of the company’s ongoing commitment to using emerging technologies to drive advances in programmatic advertising. Publishers using the solution to manage their inventory will have the ability to create private marketplaces and package deals for buyers that include more precise targeting based on context and sentiment. This added relevance, says Adyoulike, increases value both for the publisher, and for the brand. Adyoulike said the new offering is also strong on transparency and control, giving buyers and sellers full visibility across the programmatic exchange, which ensures advertisers optimize spend and publishers maximize revenue. 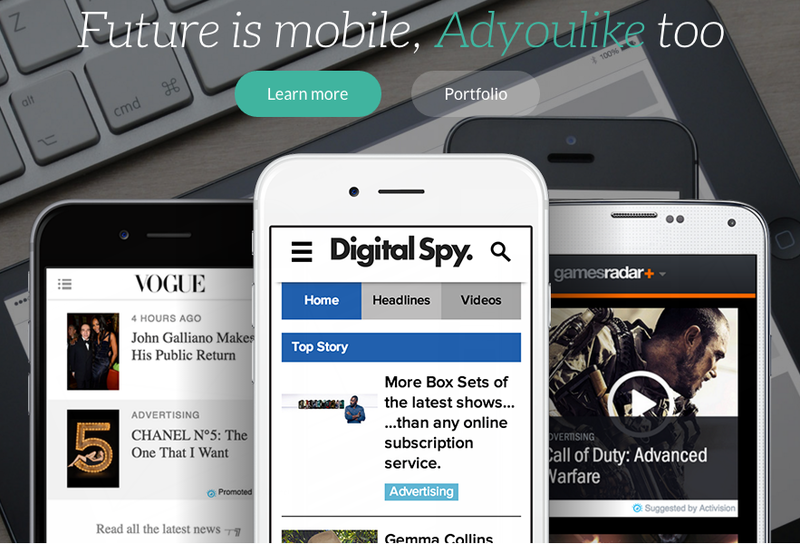 Recently ranked 48 on Deloitte’s Technology Fast 500™ for EMEA, Adyoulike’s entry into the US market comes following rapid growth as one of the first pure play native ad startups in Europe. The company which works with big agencies and brands in Europe, said it is now positioned to seize a greater share of the multi-billion-dollar North American native advertising market. Adyoulike claims their in-feed native ad platform connects over 35 DSPs, and serves 10 billion impressions to over 150 million unique visitors each month. As part of its US expansion, the company has also appointed Francis Turner, Chief Revenue Officer (CRO) and formerly head of its UK office, to the position of US General Manager and relocated co-Founder and CEO Julien Verdier to New York City. Dale Lovell, currently Chief Digital Officer (CDO), will take on the role of UK MD with immediate effect. Dale and Francis are the co-founders of Content Amp, which was acquired by Adyoulike in 2012.